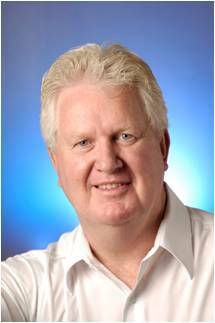 Dr. Ian McNiece obtained his PhD from Melbourne University, Australia in 1986 and his thesis work was undertaken at the Peter MacCallum Cancer Institute. He did a post doctoral fellowship with Dr Peter Quesenberry in Charlottesville, Virginia and then worked at Amgen Inc, in California for 9 years studying hematopoietic growth factors. Dr McNiece returned to academia in 1997 and worked at the University of Colorado in Denver as the Director of Research in the Bone Marrow Transplant Program. In 2003 he moved to Baltimore as Professor of Oncology at Johns Hopkins University, where he served as Director and CEO of the Division of Biomedical Sciences Johns Hopkins Singapore and Director of the Stem Cell Therapy clinical laboratory. In 2007 he moved to Miami as Professor of Medicine in the Interdisciplinary Stem Cell Institute at the University of Miami, and Director of the Experimental and Clinical Cell Based Therapies Program which supports translational clinical research in cellular therapy. He is currently the Director of the Stem Cell Transplantation and Cellular Therapy Clinical Laboratories at MD Anderson Cancer Center in Houston, Tx. His work has focused on translational medicine with approaches using stem cells and the generation of cellular products for therapeutic treatments. Dr. Ian McNiece research focuses on translational medicine, stem cells and the generation of cellular products for therapeutic treatments. Why do we know so much about wound healing and yet so little about Keloids? Suspended Life - Stem Cells: Are Treatments Possible?